Chef C.J. Jacobson battled it out on Bravo’s “Top Chef,” and now he’s getting ready to showcase his skills at this year’s Chicago Gourmet. 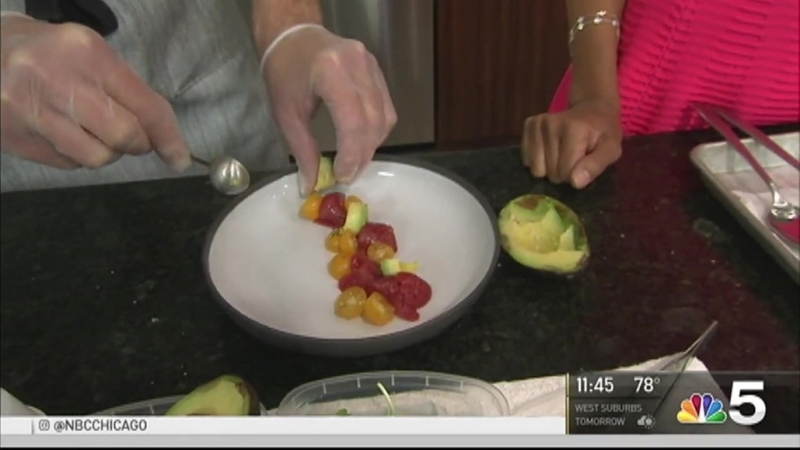 The executive chef and partner of River North’s Ēma restaurant joined Marion Brooks ahead of the annual food and wine festival to share his recipe for Tuna Crudo. 1. Arrange the sliced tuna so its long side forms an "S" as seen vertically. 2. Repeat in a non specific line with four more pieces. 3. Arrange tomatoes along the tuna securing rustic line of food. 4. Place the avocado in missing spaces in angles. 5. Spoon some of the lentils around to complete the dish organically. 6. Use a bright turmeric vinaigrette to balance the eye but also to complete the acid sweet component of the dish.